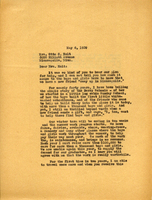 Martha informed Mr. Howden that she can't accept a little boy from New York City to be educated at Berry because he is outside the borders of the 11 southern states that Berry serves. 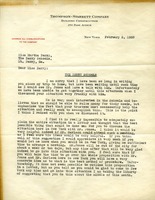 A letter to Mrs. Holt addressing Martha Berry's thanks for all of Mrs. Holt's help in supporting The Berry Schools, and the great need that the school has for friends like Mrs. Holt. She goes on to describe the great needs for Berry Schools in order to keep the scholarship students funded. She also includes her plans for a trip to New York to try to raise more funds within the next couple of days. 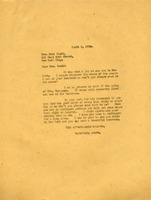 A thank you letter to Mrs. Hitchcock for informing Martha Berry on a medal the school received. 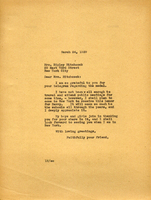 A letter informing Miss Gabbi of how much Martha Berry enjoyed her previous visit in the Spring and an update on how her eye is doing after surgery at the Presbyterian Hospital in New York. 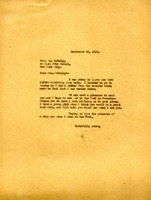 Martha Berry apologizes for missing Mrs. McNally's call in New York and expresses the pleasure she found in meeting her. 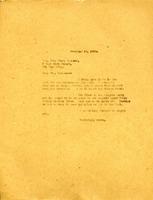 In this letter J.E. 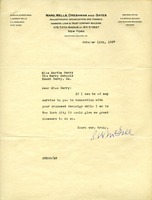 Bierwirth tells Martha Berry that they need to discuss the business in person in New York. 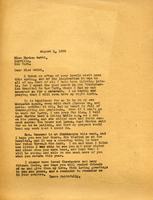 A letter from Martha Berry to Mary Gould expressing her joy of being able to see her in New York. 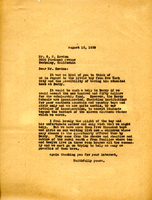 She also expresses her grievances for the passing of Mrs. Marquand and also requests that Mrs. Gould send her the names of the people she met at the luncheon. 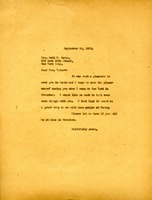 S. W. McGill writes that it would give him "great pleasure" to serve Martha Berry with her proposed campaign in New York City. 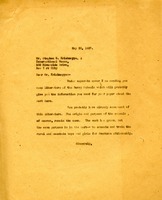 This letter talks about sending Mr. Krishnayya literature about the Berry Schools for his paper. 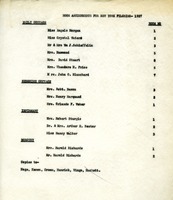 It explains that although the work of the schools has grown its purpose to educate mountain boys and girls for American Citizenship. Donation from Mrs. Lawrence and two others totaling $425.